Sheldon Siegel, a graduate of the University of California at Berkeley's Boalt Law School, has been in private practice in San Francisco for over fifteen years. He lives in Marin County with his wife and twin sons. 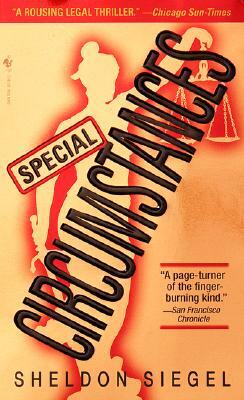 His second novel featuring Mike Daley, Incriminating Evidence, will be published by Bantam Books in August 2001. "A page-turner of the finger-burning kind." "A poignant, feisty tale ... characters so finely drawn you can almost smell their fear and desperation. The dialogue is taut and tangy." "By the time the whole circus ends up in the courtroom, the hurtling plot threatens to rip paper cuts into readers' hands."